THE HOUSE OF WANT LEFT THE LEAGUE IN 000011AX. The Sisterhood of Light had always seemed to have it in for the old Remnath House, ever since their great patriarch, Atrajak of Want, went mad and attacked them at their stronghold of Twilight 4. 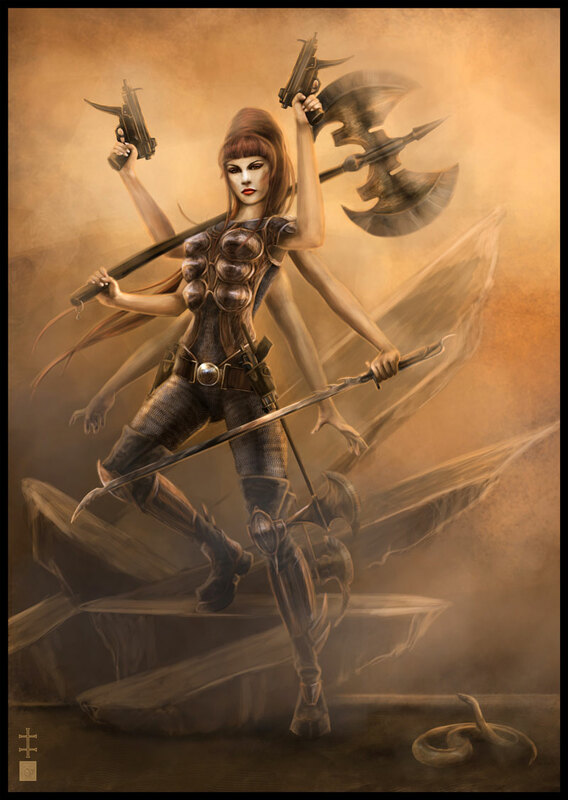 Atrajak was slain and branded a berserker and the House of Want was censured by the Sisters in the aftermath. Censured Houses often don’t survive, their currency is made worthless, they fall into ruin and disrepair and eventually go extinct. 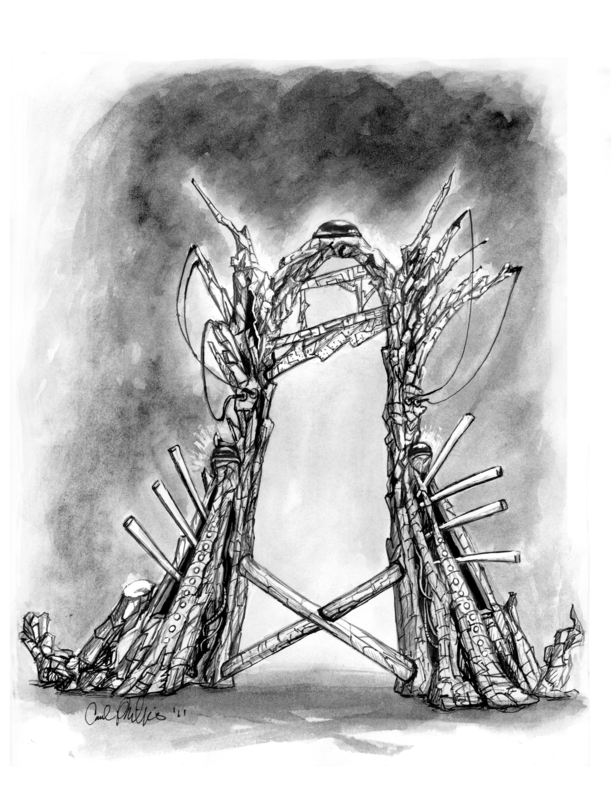 The House of Want, frugal and modest, managed to survive and eventually regain a seat or two in the League Ex-Commons, though the Sisters had a long memory and never forgave them for Atrajak’s actions, even centuries later. 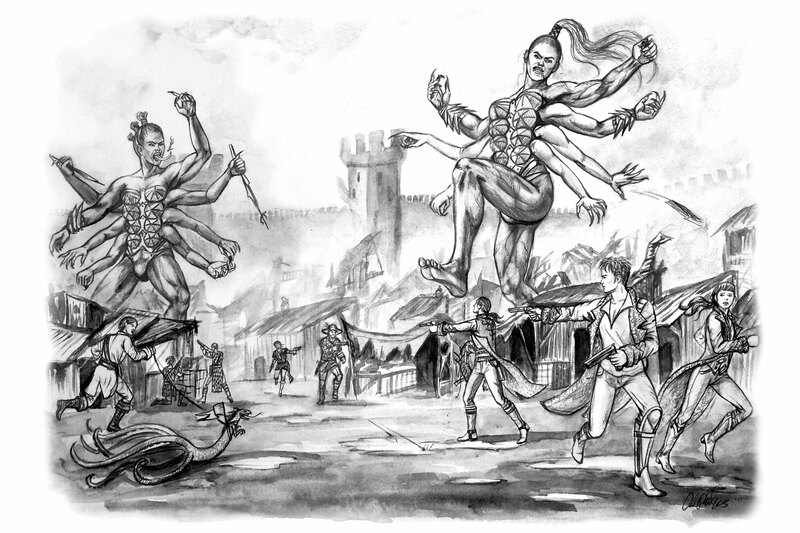 Little did the Sisters know that the House of Want would soon rise again in prominence and its name would endure the ages, not due to the exploits of the fallen hero Atrajak, but due to mind and hands of a gangly, rather misshapen man named Lord Revis of Want. Lord Revis of Want was a genius, a man centuries ahead of his time. He was a prolific inventor of incredible skill and the things he created astounded the League. He invented the containment field, the holo-emmiter, the modern guidance system for the Fleet’s canister missiles and the sub-orbital to name a few. All by himself, he led the House back into wealth, and he did it without the approval of the Sisters–a thing unheard of in League Society. It was said Lord Revis discovered how to create Brightstones, which were objects of Elder-tech. Such talk was bound to attract the attention of the Sisters. They took note of his creations and were suitably impressed. They visited Want in the rolling hills of Remnath to be given a tour of his workshop and discuss with him his future plans. Perhaps they might consider forgiving the House and forgetting the past, embracing the House once again. And Lord Revis refused to admit them. They stood there, knocking on his gate, getting no response. Normally, such a rebuff would be the doom of a House–nobody ignores the Sisters when they come to visit. Lord Revis, though, had made a name for himself through his creations and his standing protected him. The Sisters, fuming in their stronghold at Valenhelm, kept hearing more and more about the menagerie of incredible machines kept hidden in Lord Revis’ workshop and that he had developed an Elder-like knowledge. Nobody keeps secrets from them and they were determined to gain entrance to his workshop and see what was there to be seen, even if they had to make a scene of it–even if they had to break the law. In 000011AX, they stormed Want Manor, looking for Lord Revis and hoping to drag him off to Twilight 4 and teach him the error of his ways. They found nothing there. 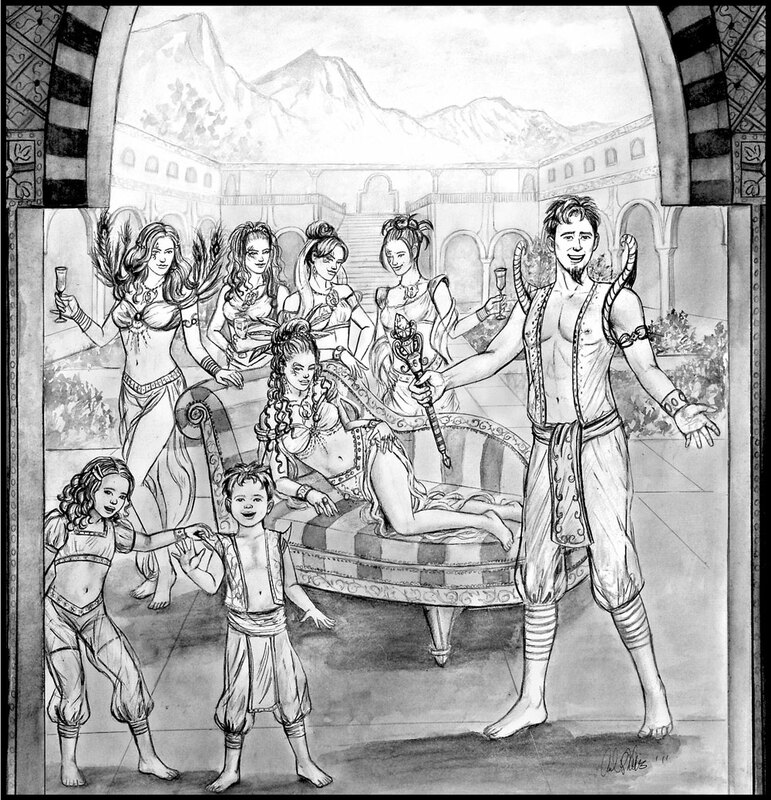 Lord Revis, his Countess Mirvara and their ten children all gone without trace. Entering his fabled workshop, it too was empty. The only thing standing there was an odd silver arch-like machine known as the Oberphilliax. Infuriated, the Sisters sent the oft-hidden sect of Torrs Twillinger after Lord Want and his family, and they took the Oberphilliax back to Valenhelm for detailed study. Their frustration only mounted. Torrs Twillinger found no trace of the House–they had simply vanished without clue and were beyond the Sister’s reach. The Oberphilliax also confounded them. It resisted their efforts to reverse engineer and discover its secrets. It was well-made, novel in construction and seemed to do something of great importance, though they never could determine what exactly that was. They conjectured it might be a time machine/looking glass type device, but couldn’t get it to function. They even managed to destroy its power stone during a feedback test. The Sisters often said while testing the machine that it spoke “Evil” to them and they even grew to fear it somewhat after time. Writing the Oberphilliax off as a novel “dud”, they catalogued it, broke it apart into three pieces and placed it into storage. They then tried the House of Want en absentia and found them guilty of sedition; a block of cells await them at Hagthorpe Prison. Those cells have been empty for centuries, though the Sisters continue to search. They are determined to locate occupants for those cells at Hagthorpe. As for the Oberphilliax, the odd silver machine that seemed to do something grand but cannot be made to work, its parts were scattered all over the League and beyond. Finally, part two of the Temple of the Exploding Head trilogy is done. We’ve got all 27 interior pics and the cover. All it needs is a last bit of proofing and it’ll be ready for its July release. Unlike Book III interior art which had a number of thumbnail sketches, Book IV’s art is mostly composed of full page compositions done by Carol Phillips. These scenes have been simmering in my thoughts for so long that finally seeing them come to life is a real treat. The previous three covers in the League of Elder series have all had a distinct fantasy look to them. For Book IV, I wanted more of a science fiction theme. 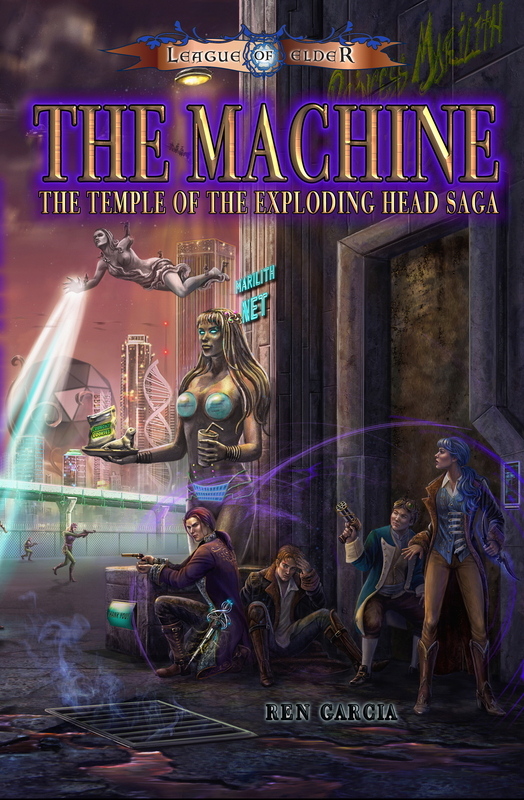 I love everything about the cover, the colors, the city of Waam all around, the giant-size Princess Marilith vending machine, the flying Bondarunga statue in the background–you name it. Waam is one of my favorite places in the LoE universe. I always loved the Fritz Leiber books of Lankhmar. A great city full of mystery and adventure, a cobbled maze of mist-filled streets leading to the unknown. I always wanted to write about such a place. The cities in the League are too demure and civilized to allow me to really cut loose and use my imagination, so I took advantage of the much-less prim and proper Xaphans and created Waam, an advanced, rather racy and highly evolved city where literally anything can happen. Fritz Leiber had his Gods of Lankhmar lurking in the city, and I’ve got my Black Hats festering in their temples. There are many Horned Gods spanning the cosmos, some benevolent, some misunderstood, and others are quite horrendous in their evil. The Horned God of Tevlapradah is a self-proclaimed demon and devil; a criminal in the eyes of the Universe. The carnage he demands and receives in abundance goes against the laws of cosmic balance and the gods of the Celestial Arborium have been pursuing him for millennia, hoping to bring him to justice and end his bloody spree of terror. 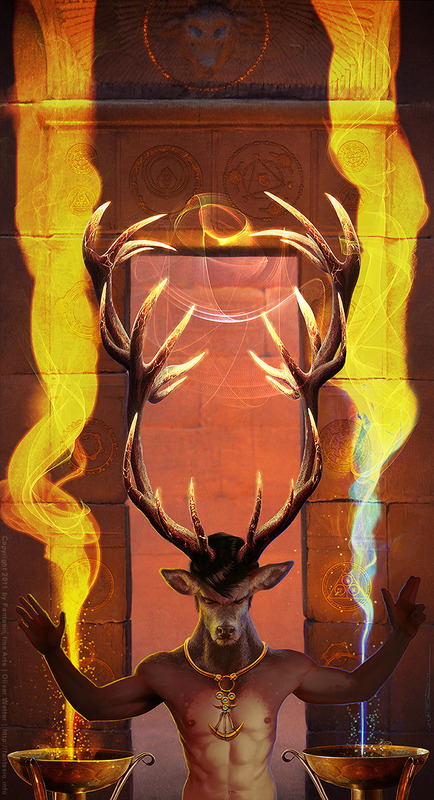 The stately elemental spirit Bathloxi, a being of lightning and giver of laws, has personally sought him out, though the Horned God has, to date, eluded him. His shadow lingers over the Celestial Arborium, tormenting and laughing at them, daring them to stop him. His lore dictates he rules over a place called Tevlapradah in a Temple of bluestone sunk deep in the ground where the gods cannot see him. He commands an army of dark, four-armed angels who kill and spill blood for him; his angels’ blood lust matches his own. His Temple of the Exploding Head has witnessed ceremony and bloody sacrifice continuously for ages, the drums constantly beating. The Horned God is said to lure victims to Tevlapradah to be preyed upon by his dark angels, dragged into the Temple and then sacrificed before him. It is a game he’s played for time untold and the number of victims meeting their end in his Temple is impossible to count. His Temple is said to be a place of such sorrow and evil that it has become a tunnel in time, its nightmare heard deep into the past and far into the future. Recently, Bathloxi has had several promising leads regarding the whereabouts and the identity of the Horned God. At long last he has a name to consider: Carahil. HAITATHE WARRIORS are legendary creatures on Kana. In the early days of the League, they settled on the bountiful world of Kana at the beginning of the EX time epoch. 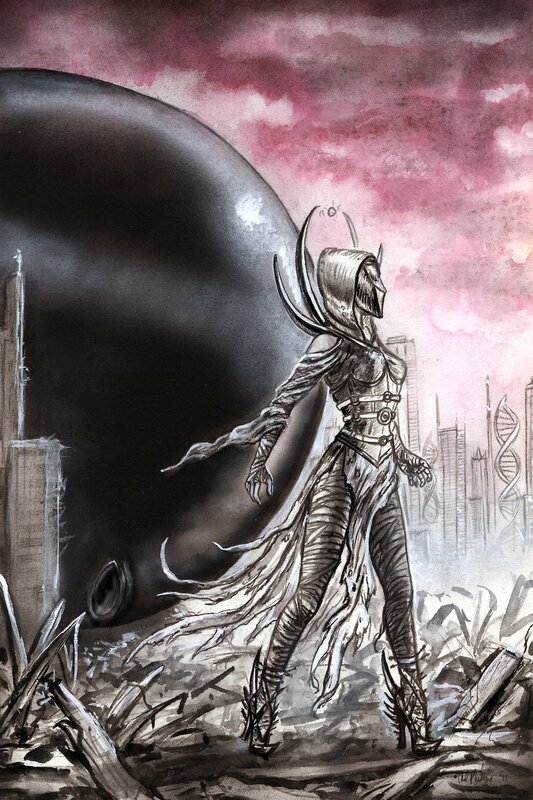 The 25 Elders, whom the League served, made an occasional habit of introducing alien species into their midst with the thought of enhancing their genetic make-up. Shortly after arriving on Kana, the Elders introduced the Haitathe, a bizarre hermaphroditic alien species of giant size. The Haitathe were warlike and savage, much larger and more powerful physically than the League. They thrived in the northern reaches of Kana and began a long and rather bloody reign of terror over the League, especially over the tribes of Vith and Esther. They developed a distinct “taste” for Vith flesh and began harvesting them for food. Seeing their extinction at hand, the League prayed to the Elders for help. Initially telling the League to solve the problem themselves, the Elders soon saw how dire the situation was and bestowed The Gifts upon the tribe of Vith. It was hoped these Gifts would allow the Vith to better fight back against the Haitathe. 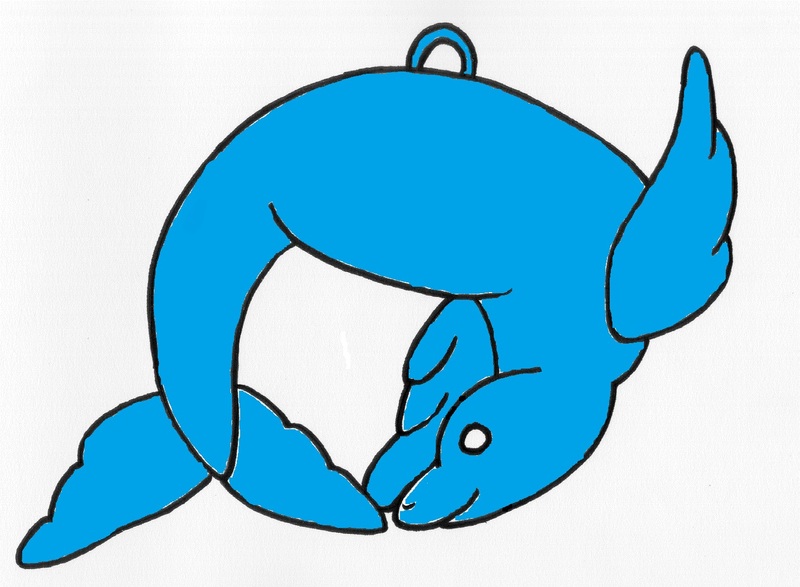 They marked the Vith as Blue, indicating that they had the Gifts. With their new abilities, and under the leadership of Homma of Telmus Falls, the Vith rallied and slowly pushed the Haitathe out of their northern stronghold. After centuries of bloody conflict, the Elders removed the Haitathe from Kana, sending them back to wherever they had initially come from, though, a few remained in the dark places of Kana, hiding there to the present day. The Haitathe were bizarre male/female creatures of giant size. They began life looking like a rather tall League male and became more and more female as they got older. The average size of these young male Haitathe was 6’5 to seven feet. A young Haitathe could be fairly tame and agreeable. As the Haitathe aged, they began growing additional female parts, including arms, breasts, genitalia and a head which would remain small and hidden until needed—they added one full set every twenty years. It was thought that each set of female parts maintained its own consciousness and therefore the Haitathe would hear many voices in its head, each struggling for control. Normally the most domineering and brutal voice would hold sway. Having both male and female parts, Haitathe always self-replicated. Unlike the League, who were engineered to remain young throughout their lives, the Haitathe aged and became old at a slow but progressive rate (In the notorious case of Lord Milton, it was thought he had Cloaked himself to appear old, but his withered face was real). The Haitathe’s head was not a critical area, and would quickly grow back a new female head if the male head was lost. If the Haitathe possessed four sets of arms, it could lose up to four heads—losing the fourth however would be fatal. The female arms were very strong and were rather rubbery, able to stretch quite a distance and flatten out against their bodies as to almost be invisible. They could also stick to walls and scale them like a bug. They also had the unusual ability to remember everything experienced and were capable of performing incredibly complex mathematical computations all in their head without error. If a Haitathe became enraged, they would grow, often times, to about twenty feet tall. Occasionally a Giant-sized Haitathe would become stuck in such a state and be a distinct target. Their demeanor was extremely war-like and brutal, and they could be just as nasty to themselves as to the Vith. Blood feuds between Haitathe were horrific affairs. To the Vith and the rest of the Elder-Kind they were singularly cruel, enslaving, then feasting upon them. There were a number of documented instances where a Vith hero was able to tame a Haitathe to a certain degree, as with Holt of the Mountain. They admired strength most of all, and if a Vith hero demonstrated enough strength, then the Haitathe would sometimes calm and offer the Vith respect, loyalty, even love. It has been said that the ancient, and gigantic, Vith Queen Emmira was in fact a Haitathe in disguise. It is also thought in some teachings, that the original Sisters had a strong Haitathe ancestry. It should be noted that much of the richness and history of the Vith culture and mythology derives either wholly or in part from their dealings with the Haitathe. 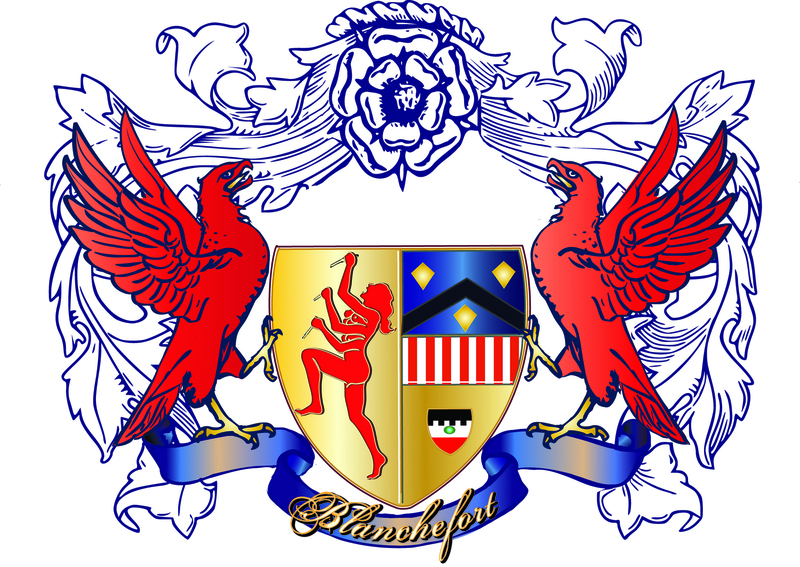 Images of the Haitathe appear emblazoned on many Vith Great House coat-of-arms, including House Blanchefort, Bloodstein and Durst, Tartan and Clovis. Additionally, many Vith Great Houses can trace Haitathe blood somewhere in their history.